1/100 Gundam Astraea Type F ~ Piercing the Plastics! You can see the dust and that is because i made this kit when it first came out. You can also see the seem lines. 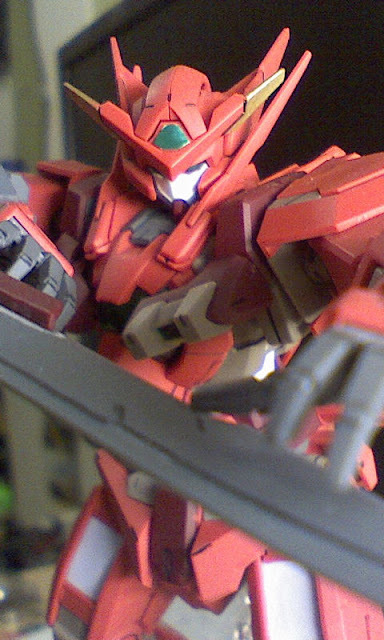 I panel lined with a gundam marker and put a matte top coat. 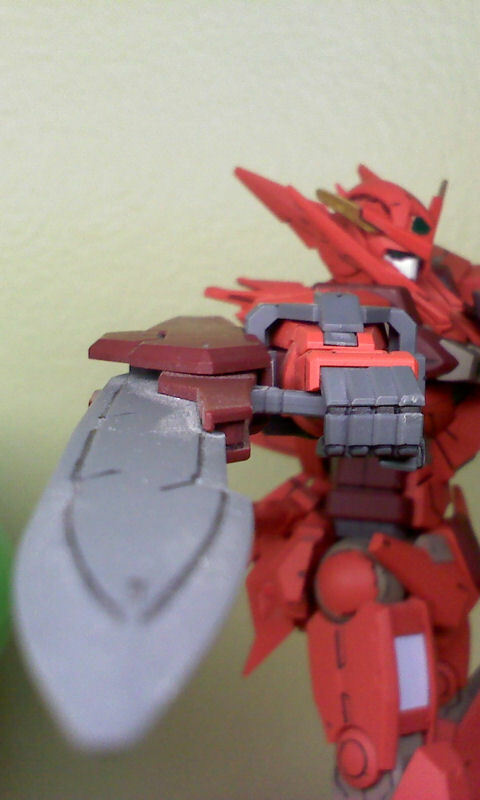 I did paint that V fin gold on the ends and its a little messy.Most of the clear parts clear green too. 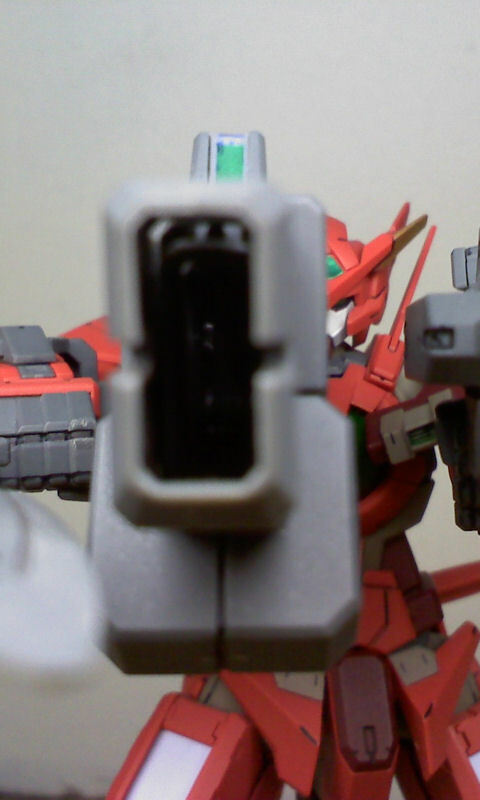 Lastly, i think, i placed one of my 00 Qan[T] stickers for the chest and placed it on the Astraea's and blackened out the 00Q and just cut out the A from the bandai and placed it there. Why? Because I felt like it... HA! Loved this kit. You didn't really need to do much painting wise, unless you really wanted to. 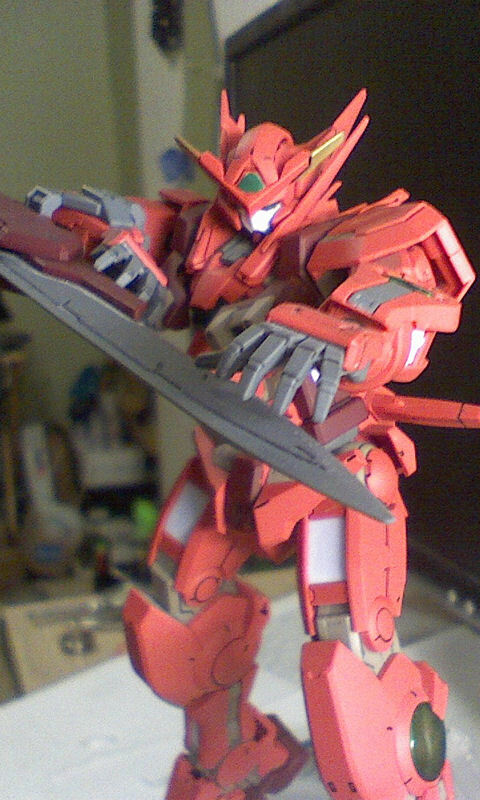 And at that time i didn't have the means to paint it. The articulation is pretty good too. 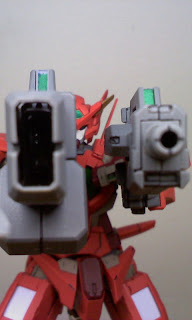 Although, I cant make up my mind to which head to use. It had the spare parts from Exia and i would've really liked if it would have that GN drive you see on Exia. 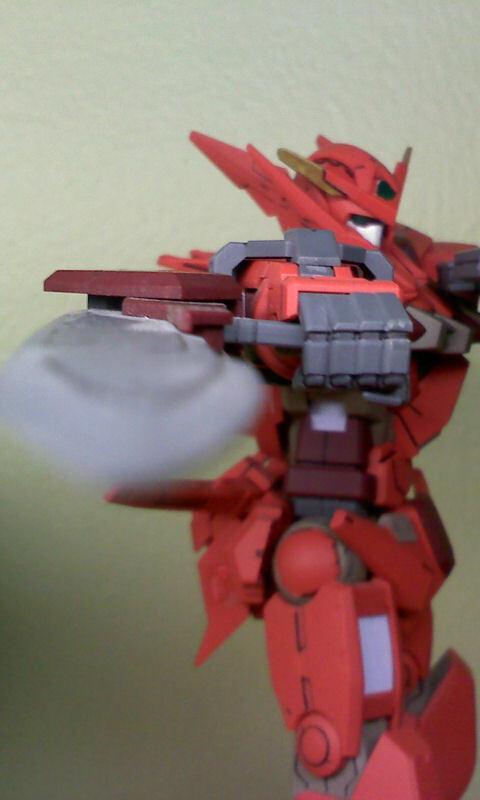 But then again, its not like I was going to be looking at its back all too much. The photos from here are taken from my cell phone.